Cancun is a beachside destination known for its warm Caribbean waters, its world-class resorts, and its lively nightlife. This popular Mexico beach getaway regularly attracts visitors from all over the world, and Cancun continues to be a popular destination for everyone from honeymooners to young families. 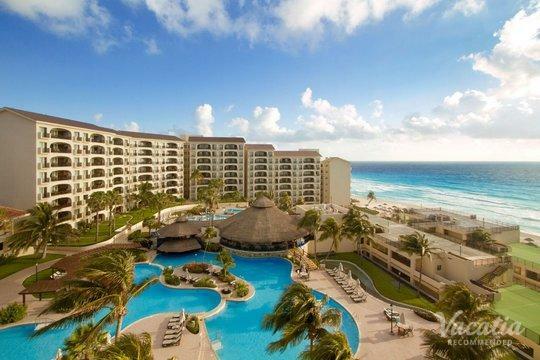 When you travel to the sparkling white shores of Cancun, you should make the most of your stay in this tropical destination by staying at one of the premier oceanview resorts in Cancun. Let Vacatia help you find the best vacation rental possible in this popular Mexico destination so that you can have an unforgettable beach vacation. Vacatia's intuitive search tool and its attentive Guest Care team will help you book your stay at one of the top resorts with oceanview in Cancun, which means that you will be able to wake up to the dazzling Caribbean waters right outside your window. Vacatia strives to provide travelers with the best accommodations possible in world-class vacation destinations, so when you rely on Vacatia to book your Cancun accommodations you will be able to unwind and soak up the Caribbean sunshine, sea, and energy. Situated in the Yucatan Peninsula, Cancun is home to some of the best beaches in the Caribbean. The long stretches of white sand beaches and turquoise waters have made Cancun an incredibly popular destination for those looking for everything from rest and relaxation to excitement and adventure. 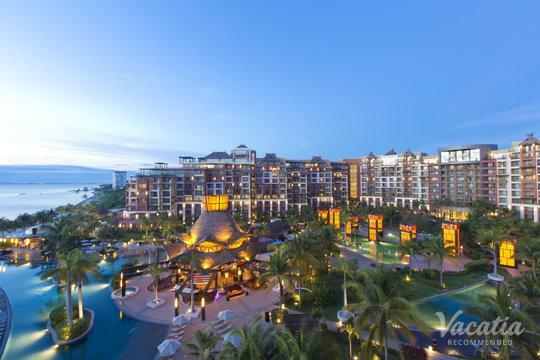 Whether you want to spend your days basking in the sun by your resort pool or exploring the nearby Mayan ruins, your Cancun vacation is sure to be one of the highlights of your year. 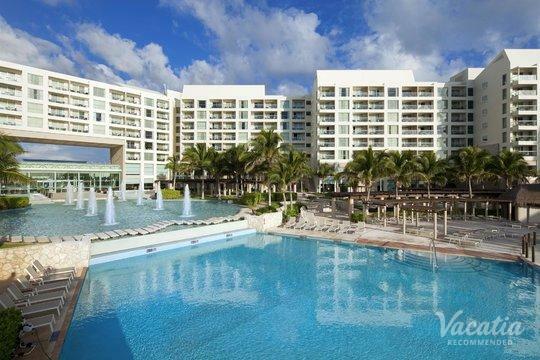 When you start planning your Cancun getaway, be sure to work with Vacatia to book your accommodation. Vacatia provides travelers with terrific selections of quality vacation rentals, and you're sure to find your dream Cancun resort through Vacatia. 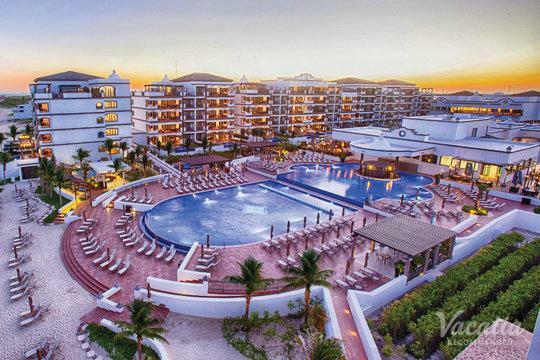 Rather than stay at one of the hotels in Cancun with oceanview rooms, let Vacatia find you a spacious, comfortable home away from home at one of the premier resorts in Cancun. If you want to see the sparkling blue ocean from your Cancun suite, there's no better place to conduct your vacation rental search than on Vacatia. Cancun is a popular resort town located in the state of Quintana Roo in Mexico. Its reputation as a spring break destination has made it a hotspot for revelers looking for great nightlife and excitement, while it has also established a reputation for being a great spot for couples as well as families. There are limitless activities to enjoy in Cancun, from jet skiing to exploring Mayan archaeological sites, which is why Cancun is one of the most visited spots in all of Mexico. Best known for its warm, crystal clear waters and its expansive white sand beaches, Cancun is a vacation destination that every beach lover and sun-seeker will love. 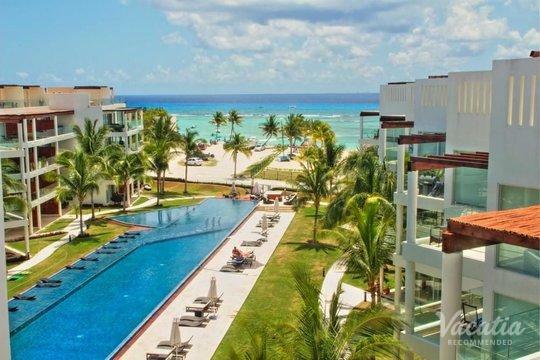 Just be sure to soak in as much of Cancun's beauty as possible by letting Vacatia help you book your stay at an ocean view resort in this Caribbean gem.